robinsons malls | Badudets Everything Nice! 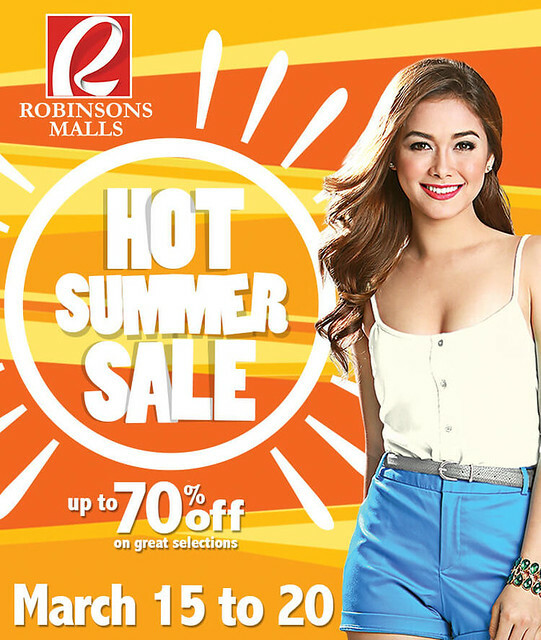 Robinsons Malls are having their Hot Summer Sale from March 15 to March 20, 2016. Enjoy up to 70% off on great selections. Participating malls are: Galleria, Manila, Metro East, Forum, Las Pinas, Antipolo, Malolos, Starmills, Angeles, Pangasinan, Santiago, Ilocos, Imus, Dasmarinas, Lipa, Los Banos, Palawan, Fuente, Bacolod, Dumaguete, Iloilo, Tacloban, Roxas, Antique, Butuan, and GenSan. 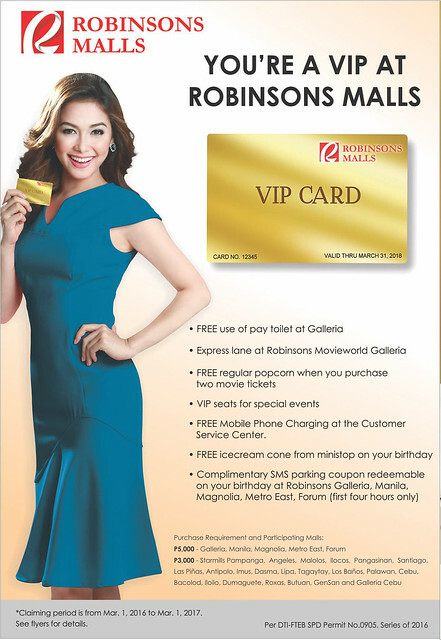 Robinsons Malls rebranded the previous Privilege Card into Robinsons Malls VIP Card. Because they want to treat their customers’ special like VIPs that’s why the card’s main features and benefits are centered on making their customers feel like a True VIP at any Robinsons Malls. Aside from the benefits from the photo above, they have teamed up with more than 600 of their tenants in giving them special perks and premium discounts. For the complete list of stores and discounts, visit Robinsons VIP Card Store Discounts & Perks Manual. 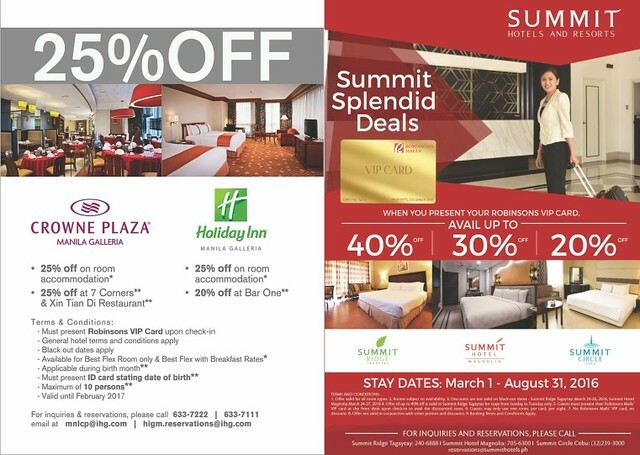 If staycation is your thing, they have discounts with their partner hotels: Crowne Plaza Galleria, Holiday Inn Galleria, Summit Ridge Tagaytay, Summit Hotel Magnolia, and Summit Circle Cebu. You must be 18 years old and above. Application period is from March 1 to March 31, 2016. Visit the Robinsons VIP Promo Booth at a branch near you. Accumulate a total of Php 5,000 single or accumulated purchases made within the promo period. For provincial malls, accumulate a total of Php 3,000 single or accumulated purchases. Fill-out the application form with complete details and present one valid ID. To redeem, customers must present their original receipts at the designated redemption booth. 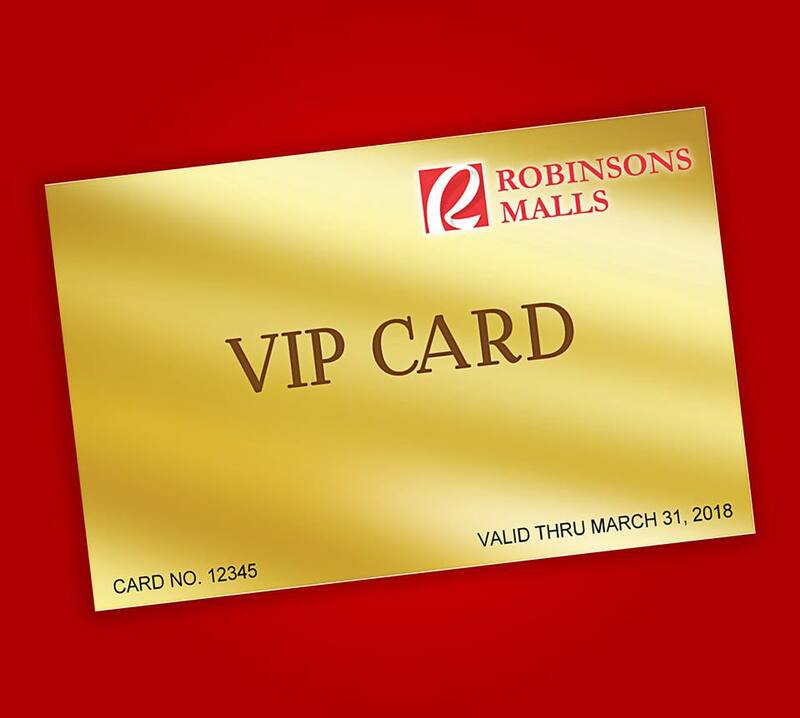 Robinsons VIP card is valid until March 31, 2018.